Upon entry, I didn't see anyone at the front desk. So I made a little cough noise. I can only assume it was the owner that heard me, he clapped twice, loudly, as if to summon someone from the back to help. That's exactly what happened. The summons clap, something you won't ever hear in an American restaurant. Incredible wine list here. Pages of stuff. Lots of big names and verticals from Tuscany. This is where traveling solo has a disadvantage, missing some great wines at reasonable prices. This is probably the reason this restaurant is on the Michelin list as an up and comer. It's pasta, it's soup, it's good. This is the first place that I noticed non-Italian music in the background. Club beats in English no less, from Pitbull. Truly Mr. International. 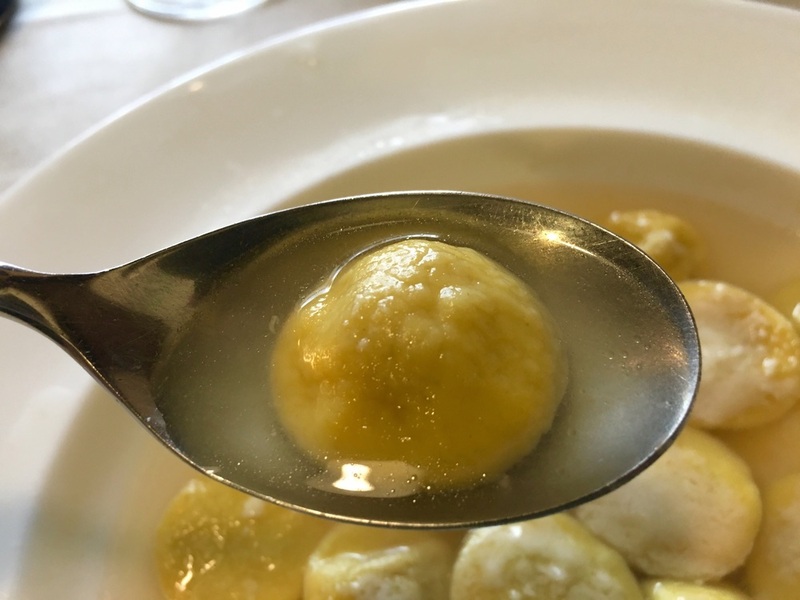 To start, tortellini con brodo. It was pure. I added 2 spoonfuls of Parmigiano. There's not much to say here, it's broth, it's pasta (some meat filled, some only cheese), it's good. Look at the picture. For my second plate, wild boar. The cut is a loin chop, bone in, with pear in a red wine reduction finished with what are small enough to be huckleberries and a ton of butter. A true pan sauce style. The boar is gamey and wildish in texture and flavor like wild ducks. Frankly, a bit tough and chewy. The rare part near the bone is where it's at. The Italians can cook a steak perfectly rare, but pork or boar, always cooked through. The pan sauce is the bomb. I actually took bread to soak it up. If it weren't for the sauce, I would have been disappointed. Parmigiano with honey. A first. The pairing doesn't clash with the pitcher of wine. No problem. Never seen honey served with Parmigiano, only w Gorgonzola. My pitcher of red wine is a drinker, plain and simple. It's my Jug wine. It's red, Sangiovese based and an easy going bouquet that will pair with everything I eat. This is why I made the Jug wine. 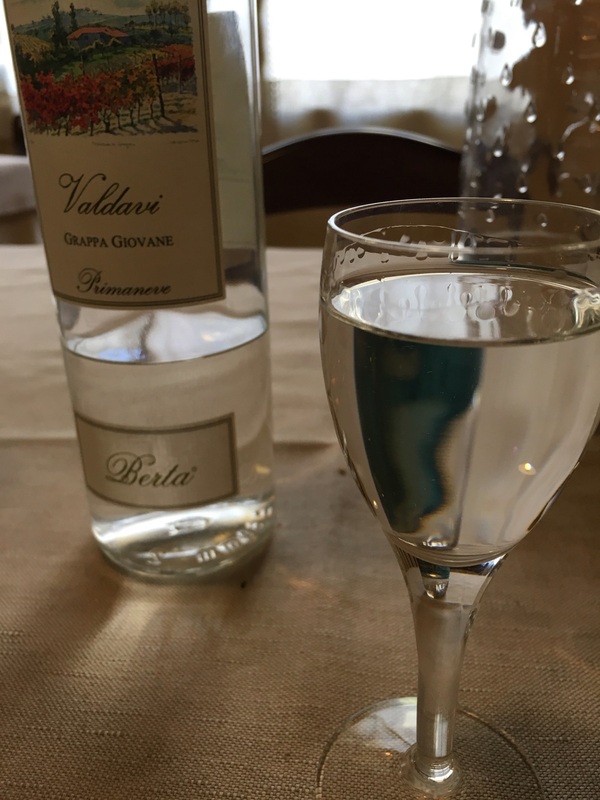 Grappa generally has a couple choices, morbide or dolce and then bianco or the caramel colored variety that has been aged in oak. The Italian purists believe that anything other than bianco is not one should drink. Basically, the oak adds color, some sweetness and mellows out the flavor. That oak treatment is something I've seen in many an American restaurant for sure. We do love oak, sweetness and mellowing. I tend to get bianco and morbide. 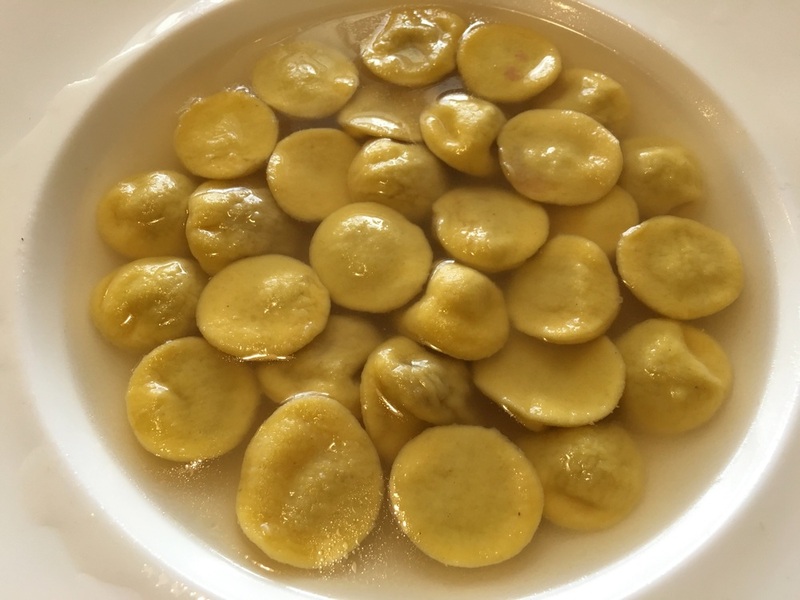 Was this my best dining experience in Parma? No. However, there was one very positive take-away, chunks of 24 month or older Parmigiano pair very well with wild honey and dry red wine and for that alone, I'm glad I dined here.